Tractor-Trailer/Large Truck accidents in Pennsylvania must be handled immediately by an experienced law firm from the very beginning of the claim in order to protect your right to receive a just recovery for your injuries. The injuries resulting from a truck accident are usually more severe and extensive. Truck accidents are different from other car accidents due to the many federal regulations governing the trucking industry. Also, gathering evidence is much more complicated in a truck accident. 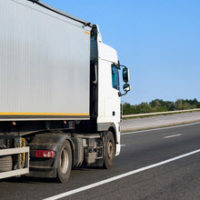 The experienced lawyers at Haggerty Hinton & Cosgrove, LLP will impound the vehicles and will preserve the truck’s black box which contains vital information such as the speed of the truck and if the brakes were applied prior to impact. HHC will protect your rights in a tractor-trailer/truck accident case. We will aggressively fight the insurance company’s team of professionals and experts who are only watching out for the insurance company’s interests. Our experienced truck accident lawyers will fight diligently to secure the best possible settlement or verdict in your truck accident case. Please contact Haggerty Hinton & Cosgrove, LLP for a free consultation.